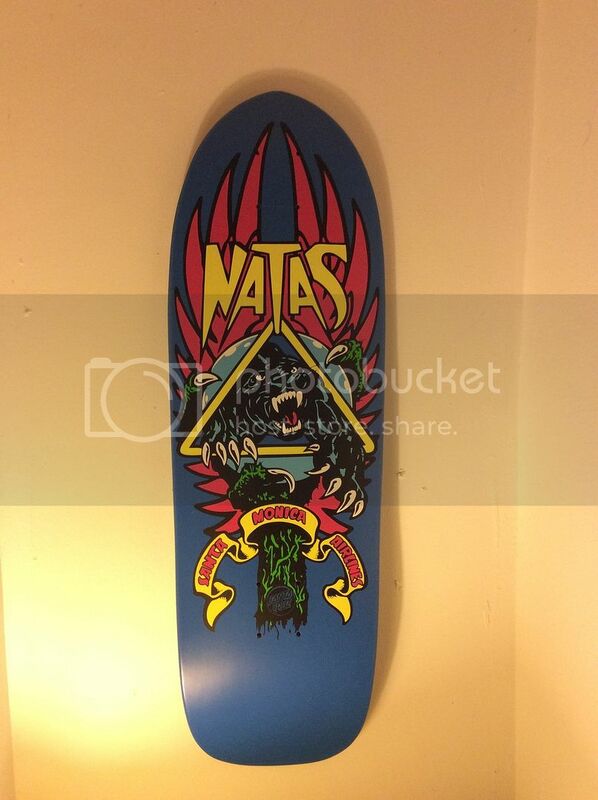 SkullandBonesSkateboards.com ~ View topic - Natas prototype vinyl rehash! 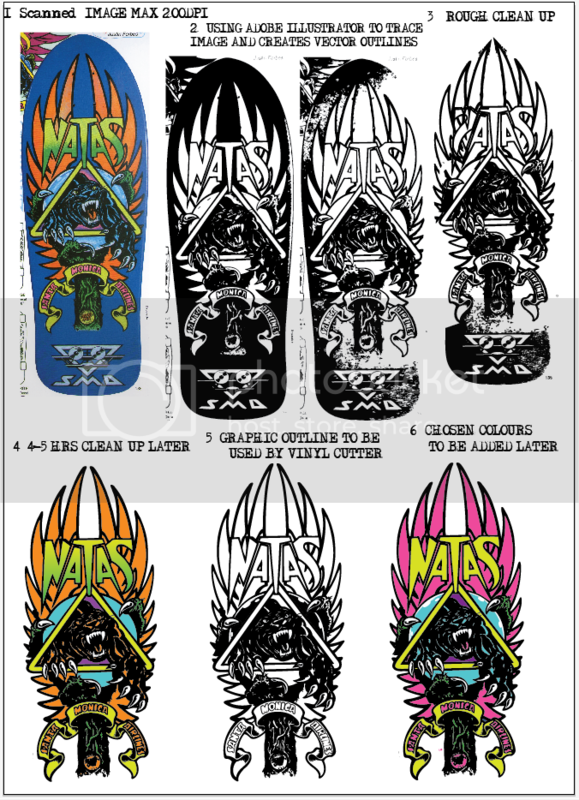 SkullandBonesSkateboards.com Forum Index » SKATEBOARD ART » Natas prototype vinyl rehash! New vinyl cut deck in my own colourway, well worth the 2 days days shaping, doing graphics ,cutting and sticking. Even though I may have posted on a similar thread, I have not yet fully understood what this vinyl cutting is about? My question may sound stupid but can you please enlighten me what kind of process you are talking about. No problem Herwig I took photos of the process so give me a couple of days and I'll post a step by step here. It can be as simple as applying a clean vinyl cut outline ( usually black ) and just painting the rest. Great fun. Thanks Daggers. Looking forward to what you're going to show me. So this is going to be a "how i do" natas with vinyl using a Silhoutte cameo cutter [£240] cheaper in the states, cheap matt vinyl and plenty of time. Its great I can knock up a graphic one day and change the colour the next. It can also be used for stencil with acrylic spray or used on blank screens for printing. And of course stickers, lots of stickers!!! Im not sure what you know herwig? Happy to help out and maybe a making a sticker with vinyl etc on youtube could help? dont want to bore anyone too much. Basic scan at 150-200 dpi or lower, all that super detail can be a problem to smooth off later, basically getting the final black outline of the print/design, once this outline is scaled to size it can be sent to a cutter.